I managed to install a bumper recently! It’s currently driven by a relay, which is really pretty bad pinball practice. I plan to eventually have a Raspberry Pi driven MOSFET circuit. But meanwhile, check out this video! 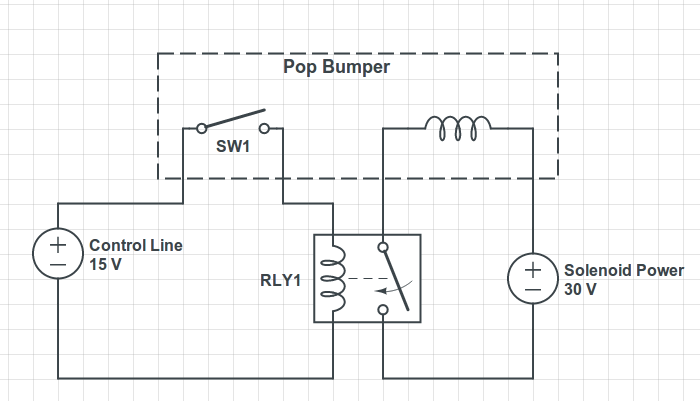 A simple circuit diagram showing how I used the relay to drive the bumper. It works!